Today in Australia and New Zealand and Expats across the world we come together to commemorate the bravery our Diggers showed in the battle of Gallipoli, known to the Turkish peoples as Çanakkale. 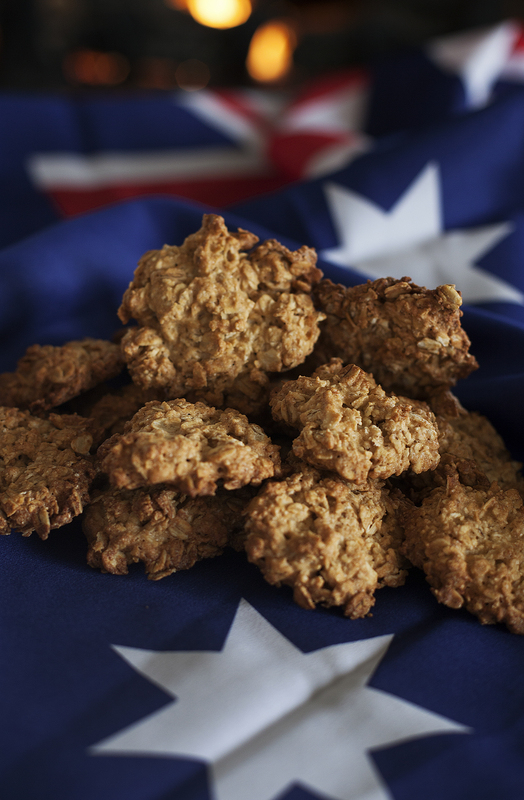 A part of the tradition aside from Dawn Services and Street parades to honour our Veterans is the making and munching of the ANZAC Biscuit. A hard, egg free biscuit crafted to stay fresh over long travel periods and sustain our lads fighting in trenches. We make these as a means of keeping their spirits alive and their sacrifices remembered. Though they can be enjoyed any day of the year. I got this recipe from the Australian War Memorial website as I wanted to make the most authentic biscuits possible. I have followed the recipe on this instance to the T in biscuit. ANZAC biccies weren’t originally too sweet. So the next time I batch these up, I will quadruple the Golden Syrup quantity. Other fabulous additions that have been tried and tested over the years are adding dessicated coconut or raisins. Preheat Oven to 160 degrees celsius or 325 F.
In a small bowl combine Golden Syrup, Water and Baking Soda, once it begins to fizz add the melted butter and stir through. Take a teaspoon and plop down the mix onto the baking paper, flatten with the back of your spoon a little and repeat the process leaving some space between each for them to grow. You are more than welcome to make larger biccies too as I did. My first batch was done to instruction and the second I made a few larger ones. Bake in the oven until golden brown. The smaller size took 25 minutes the larger 30 minutes. A note about Gluten Free Oats. Oats by nature contain no gluten. However some packaged varieties are not GF simply because they are grown next to wheat fields or processed in the same factories as wheat and barley products. Bob’s Red Mill are a fantastic company that produces purely gluten free oats. The brand is readily available in the USA and I have spotted their various products in Sydney in Dr Earth in Newtown and About Life in Rozelle, so pop in and see if they stock the GF Oats or if they can order them in. Handy Hint: You can also make these dairy free and vegan friendly by subsituting the butter for an alternative vegetable oil based spread like I Can’t Believe It’s Not Butter or Flora Proactive. Wanting to experiment cooking with Coconut flour I thought a little cookie baking was in order. 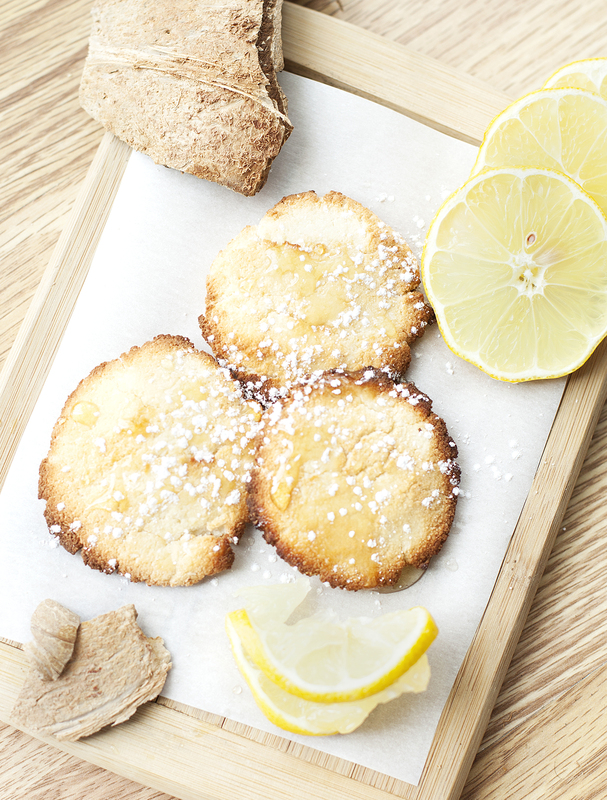 Not only are these are cookies healthy, there’s no dairy or glute and I tried to reduce the amount of sugar added to the very minimum so they’re best served chilled with a drizzle of honey and some zesty lemon. Pop on the kettle and make yourself a cup of tea after to enjoy these with. They taste fabulous being dunked in a cuppa! I reckon this mix would make a fabulous base for a Gluten Free Cheesecake or Tart. Very maleable and not too sweet to distract from any fillings you may add. Preheat Oven to 200 Degrees C or 390 Fahrenheight. In one bowl whisk all wet ingredients until well combined. In another bowl sift together the dry ingredients. Slowly pour the wet ingredients into the dry, slowly whisking as you go, once the ingredients start binding you’ll need to use a large spoon to combine the rest. In the palm of your hand take a dessert spoon worth of mix and shape a little ball and. I flatten out between your palms. Repeat this process and lay out the cookies with enough space between on your tray. Place in the oven and cook for 30 to 35 minutes. Or until lightly golden. Remove from oven and cool cookies on a wire tray. Repeat process with the remainder of the cookie mix. Just before serving or munching on, drizzle cookies with a little Honey or if you prefer Maple Syrup and squeeze some fresh lemon juice over the top. As a little pretty something I sifted some Icing Sugar, but this is absolutely not necessary. 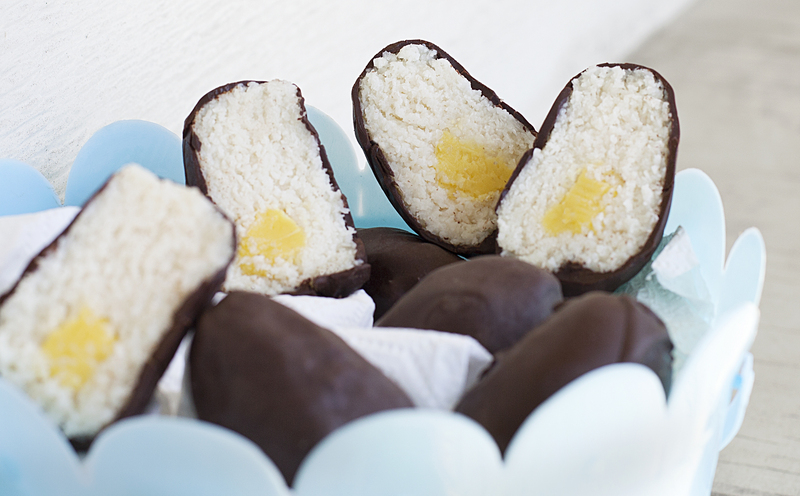 Although they’re really Lemon and White Chocolate Truffles for the purposes of Easter, let’s call them Gold Goose Eggs because they really do taste a million bucks! I found this recipe on OMG Chocolate Desserts and amended it a tad to suit my own tastebuds. Can be made up to a week ahead, so get crackin now for Easter! Put a medium size bowl in the freezer. Place your stove element on a medium heat and create a double boiler using whatever you have (generally a large saucepan and heat proof bowl will do the trick), with water in the saucepan a few cm lower than the bottom of the bowl. In the bowl combine the chocolate, butter and cream, gently melt until you have a smooth consistency. Add the lemon juice and essence and remove from heat. Add the food colouring for a more richer yellow if your desire it or keep it looking more buttery without. I added 1/8 of a teaspoon and then added a little more bit by bit until I had the colour yellow I wanted. Remove the original bowl from the freezer and pour in your Truffle mix (this will help it set faster), now place it back in the freezer for an hour and the in the fridge for another hour. The Chocolate is set when you can use a teaspoon to scoop out some of the mix and you are able to roll a small ball in the palm of your hand. If it’s too soft pop the mix back in until this is the case. Pour some of the Icing Sugar onto a small side plate to dust your truffles. Scoop out about a teaspoon worth and plop it onto the plate with sugar, pick it up and roll into a small ball. The sugar will help to create a more velvety consistency to roll the balls. 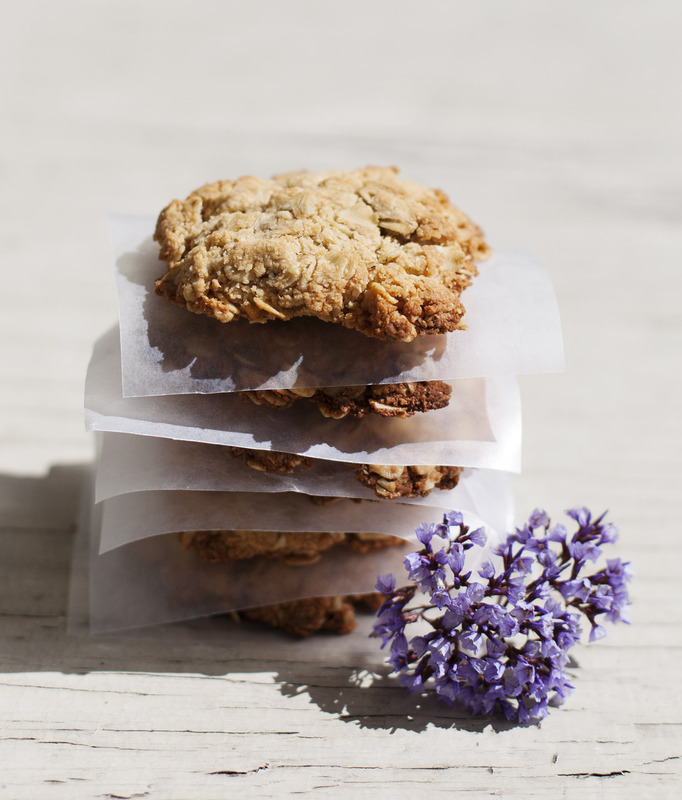 Place onto some parchment paper and freeze until you’re ready to serve. Just before serving roll truffles in the icing sugar and plate up. Store wrapped in paper towel inside an airtight container in the fridge if not serving within the day. Having no option but to buy a Kilo of Gluten Free oats recently (there were no smaller bags). I’ve started experimenting with ways to cook with these other than breakfast. This healthy biscuit is dairy, gluten and egg free and is suitable for coeliacs and vegans. Coconut flour which is high in fibre has also been uses in substitute for regular flour. By substituting the more popular allergen inducing ingredients its safe for school lunch boxes as well at 3.30 snack time in the office. Preheat oven to 160 degrees C or 325 F.
Line baking tray with waxed paper. In a large bowl combine all dry ingredients excluding baking powder. In a small bowl combine the syrup, water and baking powder. Once the mix starts to fizz add the melted vegetable spread. Using your hands, roll the mix into golf ball shapes. Place on the tray and flatten with the palm of your hand. Repeat the process leaving space between each cookie. Bake for 30 minutes or until lightly golden. Remove from oven and allow to cool. Once the biscuits are cooled they will be more firmly set. Lady Bounty Easter Eggs: The Easter Egg & Bounty got busy! I love Cadbury Creme eggs, in Australia at Easter they’re an institution. As a kid I could eat a gazillion as an adult I can probably only eat 1 1/2. This year I thought I’d try my hand at making my own Easter Eggs in the style of Cremes. This will take a while, so strap yourself in and don’t make dinner plans just in case you need to try and try again. This one was a challenge despite all my research and reference material. So many aspects actually went into making these somewhat egg like and yes they’re a tad ugly but they are tasty! Some issues to bear in mind that I came across. When I got my little egg moulds home I realised that both top and bottom had holes…which would mean leakage – so no chocolate egg mould that way. I then thought I’d create the bulk of the egg using the mold and then dip the egg at the end in chocolate to set. Unfortunately I couldn’t get the egg white coated yolk out of the mould without damaging the lot (even though I pre-greased with butter). So in the end I had to sculpt my eggs using my hands and a little lateral thinking – it’s surprisingly harder than it looks to create an egg shape and not a Babushka Doll or Coconut Nugget. Ultimately the best approach for crafting was similar to making Scotch Eggs. Place your stove element on a medium heat and create a double boiler using whatever you have (generally a large saucepan and heat proof bowl will do the trick). In the bowl combine the chocolate, butter and cream, gently melt until you have a smooth consistency. Add the lemon juice and essence and remove from heat. Add the food colouring for a more richer yellow yolk. I added an eighth of a teaspoon and then added a little more drop by drop until I had the colour yellow I wanted. You be the judge on how yellow your yolk is or you can skip this step entirely. Remove the bowl from the freezer and pour in your Yolk mix (this will help it set faster), place it back in the freezer for an hour and the in the fridge for another hour. Whilst this is setting it’s a great time to make the “Egg Whites”, but I’ll continue with the process on this one, so each element is in three whole pieces. The Yolk is set when you can use a teaspoon to scoop out some of the mix and you are able to roll a small ball in the palm of your hand. If it’s too soft pop the yolk back in until this is the case. Pour some of the Icing Sugar onto a small side plate to dust your truffles. When you are ready to make your yolks scoop out enough and plop it onto the plate with sugar, pick it up and roll into a small ball. The sugar will help to create a more velvety consistency to roll the balls. Place onto some parchment paper and freeze until you’re ready to mold your eggs. Using your double boiler set up from earlier, combine the Condensed Milk, Honey, Icing sugar and salt. Stir until well combined over the heat. Remove and place safely on bench. Thoroughly mix in your coconut until well combined. Spread out coconut mix over the parchment paper atop a large plate or baking tray. Place in the freezer for approximately one hour until you can hold it in your hand and mold it. Note if it is too hard the pieces of coconut won’t gel and your eggs will look bumpy not smooth. When set, remove from freezer along with the yolks. In the palm of your hand create a bed of coconut and gently begin to for the outline of an egg shape, curve up at the sides a little and place in your yolk. Using more coconut mix, cover your yolk and begin scultping you egg. Once you’re satified place in a small bowl or plate upright and pop in the freezer, continue this process until all of your coconut is used up. Freeze for approximately an hour. Bananas or Styrofoam or potatoes, something to use as a stand to pop the eggs into for the chocolate to set. Again with your double boiler, gently melt the chocolate. Place some parchment or baking paper on a plate or tray and top with your vege/fruit pieces to catch excess. Place two to three toothpicks in the base of your egg (it’s heavy and needs it’s own little tripod) and cover it with chocolate either by dipping in the bowl or spooning over. Stab your selected vegetable/fruit with the exposed ends of the toothpicks so the egg stays upright and can set. Repeat process with all of the eggs. Place in fridge for an hour until set and repeat the coating process once more. Finally once the eggs are firmly set remove the toothpicks and cover the little holes with the remainder of the melted chocolate. Place back in Freezer until they’re set, then refrigerate in a plastic container until your ready to serve. I used a small bowl to support the eggs to keep them upright whilst the base was melted. If you wish to serve them cut in half, run a knife under hot water to heat it so you will be able to cut through the chocolate more effectively. Just so you know I am not a total genius. I amalgamated two recipes and used my own noggin for the flavours and used a third recipe for a general overview of assemblage. The blogs I borrowed from and changed up to suit this dessert are Oh My God Chocolate Desserts, Christina Marsigliese (the most fun prose ever on a blog) and finally Not Without Salt. Happy Easter and if you’re not celebrating and just want treat I hope you enjoy these! Handy Hint: Before pulling the toothpicks from the Eggs I place paper towel around my fingers so not to transfer heat too quickly to the set chocolate. I recently bought a massive tray of mangos because they were on a bulk buy special. And the thought of eating 14 mangos before they went bad was a little daunting so I gave myself a challenge to create a new dessert with them…and then it hit me, mango, ice cream…Weiss Bar!! A Summer favourite sorbet popsicle that Aussies love to eat, purchased from the corner shop on a hot day. So I deconstructed the Weiss Bar to make my own version with the same flavours. Smiles all around and easy too. Begin the process by freezing your mango earlier in the day. Also toast your macadamia nuts so they’re room temperature when you go to serve. Using a course grater, shave the mango. Place in your favourite dessert glass. Using a hot spoon scoop out your ice cream ball and roll it in the nuts – just like Mr Whippy. Place the nutty ice cream ball on the bed of grated mango and Bob’s your uncle. Actually Bob is my Uncle, well we call him Uncle Rob. 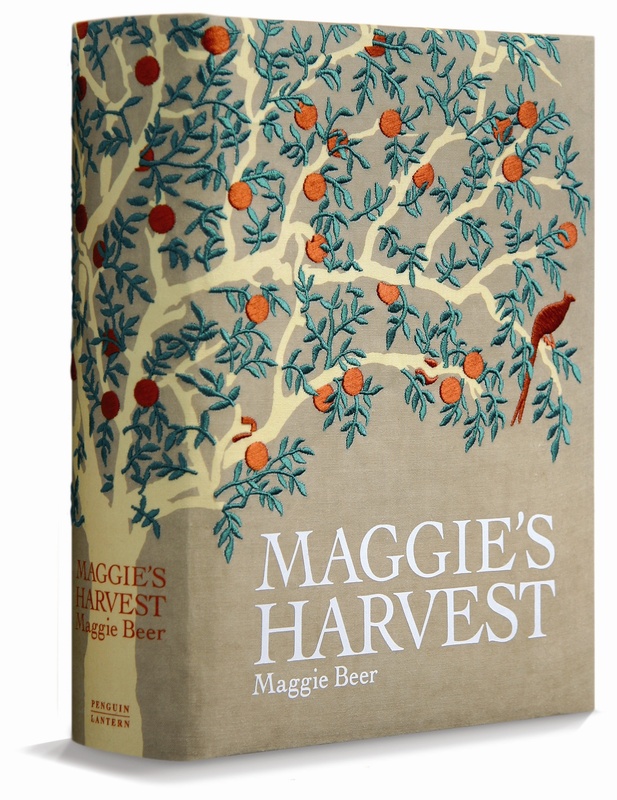 Cirtrus Tart, By Maggie Beer. A tasty little lemon tart. Although the original recipe wasn’t gluten free I tweaked the sour cream pastry base a little with Orgran Gluten Free Plain Flour, and I gotta say it’s the easiest and best base I have ever made, it’s so velvety smooth and easy to work with. A very light treat and not that citrusy if truth be told, but a delight all the same. Sift the flour through a fine sieve and toss in the butter. Using the tip of your fingers combine the flour and butter until you can pinch a clump and it holds it shape. Make a well in the centre of your flour mix and pour in the sour cream using one hand mix the sour cream round in circles gathering the flour as you go until all is combined. If the flour still feels “wet” ie sticky to your fingers sprinkle in a little more flour and combine again repeat this until the pastry mix is smooth and not sticking to you or the bowl. Shape into a sphere and then flatten a little, wrap in cling film and refrigerate for 20 minutes. Roll out the chilled dough to line a 20-24cm tart pan with a loose/removable bottom. Chill the pastry case for 20 minutes. Line chilled pastry case with foil and cover with pastry weights (little ceramic looking marbles you can buy cheap about $6 from kitchen stores) and blind bake for 15 minutes. Carefully remove foil and weights and bake case for a further five minutes. Turn down heat after to 180 degrees celsius. Meanwhile beat sugar, lemon juice, egg yolks, lemon zest til smooth, then fold through the cream. Fill the pastry case with the lemon mixture. Bake until the filling is set around the edges but still wobbly in the middle. This can take anywhere from 25-45 minutes (mine took 40). Remove from the oven and allow the tart to come down to room temperature where the filling should then be set enough to be able to slice with a knife. If it’s a hot day and its not happening fast enough for you, pop in the fridge (obviously don’t park the tart next to soft fruit/veggies). Serve with a dusting of icing sugar and if you want blueberries (my add, raspberries would go down well also). Handy Hint: When making a gluten free base for the first time add an extra 10% to the ingredients, it’s always better to have more dough then less, especially if you have to patch up your base. Tastes just like cookies and cream. I’ve mentioned earlier that I don’t like to waste food and like to recycle ingredients and leftovers where I can. If you follow my blog in the past I’ve made South Park Chef’s Chocolate Salty Balls recipe and part of that meant removing the crust from the sponge cake mix. There was so much crust I thought I would save it for something else. This is also a great idea if you have leftover celebration cake. 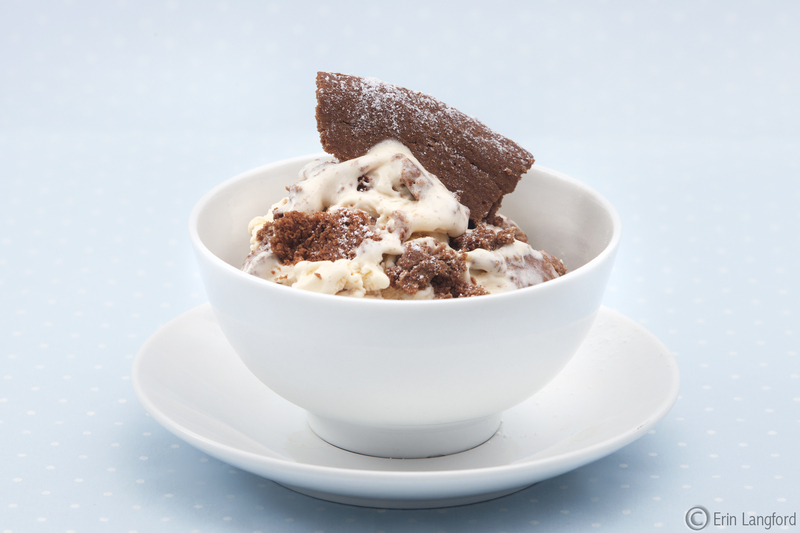 Simply spoon your ice cream onto your chopping board and poke it with large chunks of tasty stuff. Use your veggie masher to combine. Wiggle the masher a little to make sure all the bits are mixed well. Handy Hint: set aside a cup of hot water and leave your ice cream spoon in it, this will help to cut through hard ice cream. Also run your Masher under hot water too. So easy you can do this recipe with a shonking hangover. I actually thought since I use Orgran flours all the time in my baking I’d take their advise and recereate their Scone recipe from their Site. Lovely tasting, however mine only rose about twice their size but I can guess that the more I practice making Gluten Free Scones the better I’ll get. Pinch of baking powder, I used Wards, which is available even in convenience stores. Pre-heat your oven to 200 degrees celsius. Line a baking tray with wax paper. Also on a clean bench space sprinkle some flour for working with later. Beat the Egg and milk and set aside. In a large mixing bowl double sift your flour, salt and baking powder. Then add the sugar. Toss in the butter pieces and using your thumbs and forefingers rub the butter into the flour. I remembered my Dad’s old pinch test. If you can pinch a heap of flour between your fingers and it remains in the a clump the flour is ready for the next stage. If not, add a little more butter until you get this consistency. Make a well in the centre of the flour and then pour in the milk and egg. Make a shape with your right hand as though it were a talking sock puppet and plonk it into the well, stir the flour mix gradually working your way out from the centre until everything is combined. If the mix is too wet sprinkle in some more flour or if it feels really dry and as though it won’t hold add a little more milk. The great thing about these simple recipes is they’re easy to amend if the dough doesn’t feel right i.e. pliable and soft not sticky. Tip the dough onto your prepared flour bench and roll out until the dough is about 2.5 cm thick. Using a drinking glass (or biscuit/scone cutter) dip it into some flour on the bench and then cut out your scones. This will stop the glass/cutter sticking to the dough. Baste with the little milk and pop in the oven for ten minutes or until lightly golden on top and firmish to touch. The milk is what creates that lovely golden colour. Once cooked set aside to cool and serve with your favourite jam and thickened cream. Sophie, a friend of mine suggested this recipe and it is incredible and very easy. It really fits in with Jamie Oliver‘s simple approach to food, it’s a no fuss dessert that everyone will just love and you can make ahead to make entertaining easier. The mousse has the perfect amount of density and air and my little add of peppermint essence helps lift the intensity of the dark chocolate. This is the easiest dessert I’ve done it many times when we organise last minute dinners with friends, an hour in the fridge tops, which is about how long it is to do hellos, wine, cheers, cheese and dinner. chocolate shavings, to serve. I also added strawberries and dusted with icing sugar – totes no necessary if you don’t want to. Break the dark chocolate into small pieces and melt in a bowl over a pot of simmering water. Remove the bowl from the heat and beat in the egg yolk. Add a splash of milk and beat a little more. Allow to cool. In another bowl, beat the egg whites until they form soft peaks, adding the sugar little by little as you do so. Fold a quarter of the egg whites into the chocolate, and then whisk briefly. Carefully fold in the remaining egg whites. You want to be gentle here, as you want as much air to remain in the mousse mix as possible. Add the peppermint essence and gently fold through. Pour into 2 large Martini glasses or 4 ramekins or serving bowls and chill for at an hour. Test by gently placing your finger to see if they’re solid. Serve with the chocolate shavings and berries. Handy Hint: If the chocolate gets kinda gritty when you add the splash of milk, you’ve not added enough, just add a little more milk and continue beating and the mix will smooth out again. The perfect afternoon tea treat with your ladies or with your Nanna. My first attempt at a Gluten Free Pastry and I am very happy with the results. Pure inspiration can only describe my midnight idea of adding Rose Water to the dough. I used a combination of Granny Smith Apples and Pink Lady Apples to balance their flavours. Grease your flan/pie dish with butter and a little flour, tip out the excess flour. Combine apples, caster sugar, cinnamon, cloves and water in a medium saucepan and cook on a relatively high heat. Babysit the apples and when they’ve softened enough (knife easily goes through), put in a bowl in the fridge to chill whilst you make your pastry. Preheat fan forced oven to 180 degrees celsius (200, not fan forced). Sift flours, caster sugar, in a large bowl. Add the butter and combine with your finger tips (not your palms they’re too warm and will melt the butter faster). Add the beaten egg once the flours and butter have combined. You should be able to pinch the mix between your fingers and the flour will hold its shape. Divide the mix. Put two thirds in your fridge/freezer (so the pastry isn’t too crumbly to work with). Add the rose water to the 1/3 dough in your bowl gradually. The dough is will become quite moist so add a little more self-raising flour to compensate ’til the consistency is the same as before. Wrap in cling film and pop in the freezer with the other. Leave for about 15 minutes. Place the larger piece of pastry between two pieces of cling film until the right size for your pan. This will help prevent crumbling. Lift off one side and gently place into dish. Roll out your rose water pastry and cut into strips. Lay pastry ontop of apple filling to create a rose lattice. Have a little smidge of it for yourself, how good is raw pastry?! Dust with a little caster sugar and place in the oven for 20 minutes. After 20 minutes turn down temperature to 160 degrees celsius (fan forced, 140 degrees if your oven has no fan). Cook for a further 20 minutes or until golden brown.